An update (9/17/2013): we have sent a second moto down to the village! Moto Logistics is in full effect there! 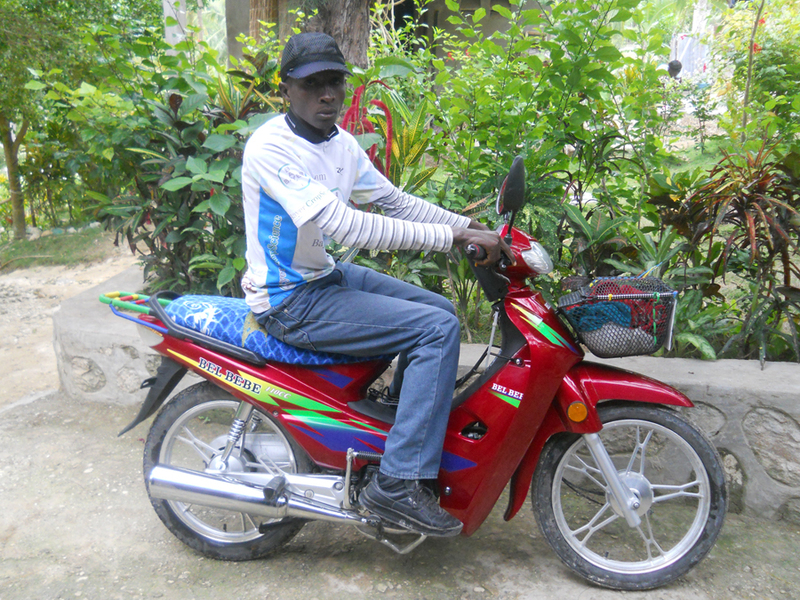 Our friends in the village of La Source report to us that the Moto Logistics program has been a huge success for them! They have been using the Moto we helped them buy, and are so excited about the job its created, that we decided to send down another Moto and see how the program goes for another few months. Here we see a villager from La Source riding the first moto we helped them buy! This moto creates a job where there wasn’t one before and it drives the local economy FROM WITHIN the village rather than as a handout from outside the village. Our first of two motos currently being driven in the rural village of La Source. They key to working in Haiti is empowerment of the people there, and to work as a team. So many organizations fail, even when they provide needed services, because they come in with answers but disrespect local dynamics with what is a very American way of thinking: the quick fix. The local people might get physical help, or temporary change, but the long term effect is disempowerment and distrust. We have seen this happen all over Haiti, and even in this village, and are incredibly excited to say that the Moto Logistics program is doing everything we had all – meaning the people there as well – hoped for and more. With the addition of the second Moto, the empowerment locally grows, the team is stronger, and the development work we are all doing together goes on! Stay tuned over the next few months for more from this partnership, and also more as we expand the Moto Logistics program to include other villages and locations as well. 1. Watch this video about Moto Logistics, and then spread the word to your friends and social networks about the program…and let them know to donate monthly, even a small amount. 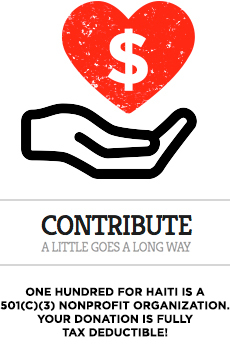 You would be amazed how far $1 a month goes when a lot of people get involved! 2. 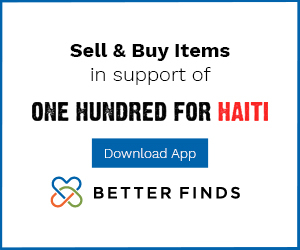 Donate monthly! There are links to the right. 3. Get in touch with us and offer your talents as a designer, speaker, sharer-of-information, benefit show coordinator, medic, creative advertiser, or anything else you can think of. We look forward to hearing from you and building the global team!